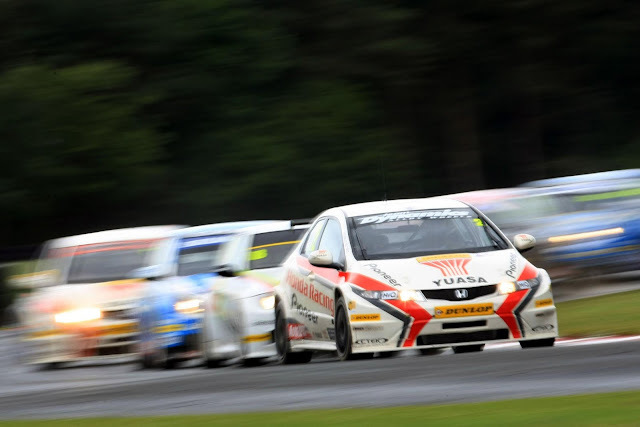 Overdrive: BTCC back in action. The clock is ticking… there are now less than two weeks to go before the UK’s premier motor racing championship – the Dunlop MSA British Touring Car Championship – bursts back into action with the start of the second half of its season at the Snetterton race circuit in Norfolk (6-7 August). After a lengthy summer break, the teams and drivers will all want to resume their 2011 campaigns by stealing an immediate march over their rivals. However, it is impossible to know who might have achieved the biggest performance gains with their cars during the break. The action will also be on Snetterton’s new, much longer ‘300’ circuit, further adding to ‘the unknown’. Indeed, this will be the only visit this year by the BTCC to the East Anglia region. With vastly improved public viewing areas, a bumper crowd is therefore expected at the circuit just off the A14 duel carriageway as fans from across the region clamour to see their touring car heroes in bumper-to-bumper action. Underlining the scale of the event, ITV Sport will be present with an army of satellite and technical trucks as it provides comprehensive live coverage on the Sunday on its ITV4 channel and itv.com website. Race day (Sun 7 Aug) tickets can be purchased at advance prices until next Tuesday 2 August priced £25 via the www.snetterton.co.uk website or by calling the hotline 0843 453 9000. Admission for children aged 12 and under is FREE all weekend. Car parking is also free. All admission includes access for public – including children – to the BTCC paddock as well as Sunday’s specially organised driver autograph session in the Snetterton pit lane. Matt Neal leads the championship in his honda - for how much longer? Honda ace Matt Neal will go into the event holding a slender nine-point championship lead from Airwaves Racing Ford Focus driver Mat Jackson. Neal, from Worcestershire, has been BTCC Champion twice before and desperately craves a third title but Jackson, from neighbouring Warwickshire, is equally hungry to win the crown for the first time in his career. Similarly, Neal’s Scottish team-mate Gordon Shedden, Staffordshire’s Andrew Jordan and Bedfordshire’s James Nash – both in Vauxhall Vectras – are also chasing a maiden title, lying third, fourth and fifth in the points table. The big question is can Neal’s arch rival these past years, fellow double title-winner and reigning Champion Jason Plato fight back in his Silverline Chevrolet Cruze? The Oxford racer will start the season’s second half in sixth in the standings some 40 points behind Neal. But with 15 races still to go this season – three of them at Snetterton – and 15 points per win, Plato knows there is time to strike back but, equally, that a strong showing in Norfolk will be essential so as to avoid slipping further adrift. The BTCC grid is set to total 26 cars at Snetterton with no fewer than ten different makes being represented – Audi, BMW, Chevrolet, Ford, Honda, Proton, SEAT, Toyota, Vauxhall and VW. Indeed, the event will mark the debut of the Welch Motorsport team and driver Daniel Welch in its new Proton Gen-2 model, built to the BTCC’s latest, turbocharged Next Generation Touring Car technical regulations. Also making his BTCC debut will be Colchester’s Martin Byford who considers Snetterton his home circuit having enjoyed many previous successes there in junior formulae. Byford will be racing the VW Golf for the AmD Milltek Racing.com team. While the headlining BTCC will be in action three times on the Sunday (7 Aug), the event will also include a further 11 races for five high-profile supporting categories including Ginetta Juniors, Ginetta GT Supercup, Porsche Carrera Cup GB, Renault Clio Cup and Formula Renault UK – these represent the very best in saloon, single-seater and sportscar racing. Among them will be Norfolk’s own Carl Breeze – the King’s Lynn racer leads the Ginetta GT Supercup standings and will be looking for more top results in front of his home crowd. For all the latest BTCC news in the run up to the event visit the official btcc.net website.